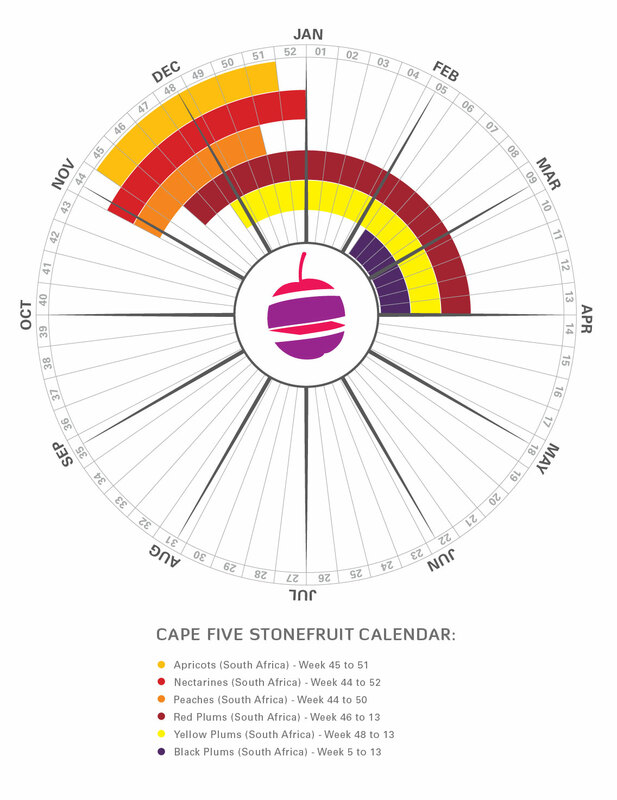 From its origin in the heart of the fruit growing region of the Cape (South Africa) in 1997, Cape Five has branched out to strategic locations worldwide. Today, it comprises a group of international companies in the Netherlands, Hong Kong and the Peoples Republic of China (PRC), which supply quality apples, pears, citrus and stone fruit worldwide. 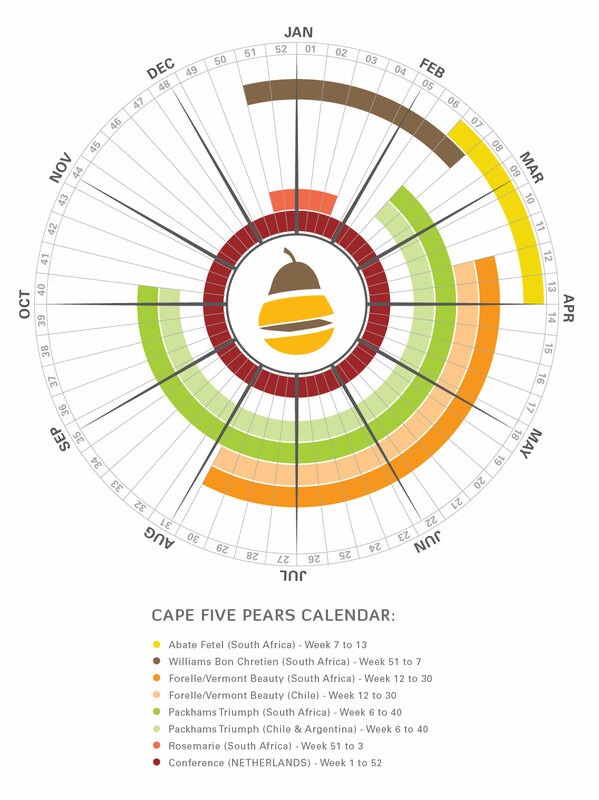 By maintaining close contact with the market, Cape Five offers the greatest opportunities to both fruit growing suppliers and fruit importers. This allows the company to follow trends and demands of the fruit exporting market closely. Keeping daily contact with customers, Cape Five can respond effectively to the needs and opportunities encountered by important role-players: importers, retailers, wholesalers and experts in the field. Cape Five employ these measures to maximise opportunities and to manage the needs of each growing source country. Trusted third party logistic partners deliver sourced fruit on time, under expertly controlled cold-chain conditions – either to the importer, distributor or directly to the retailer. 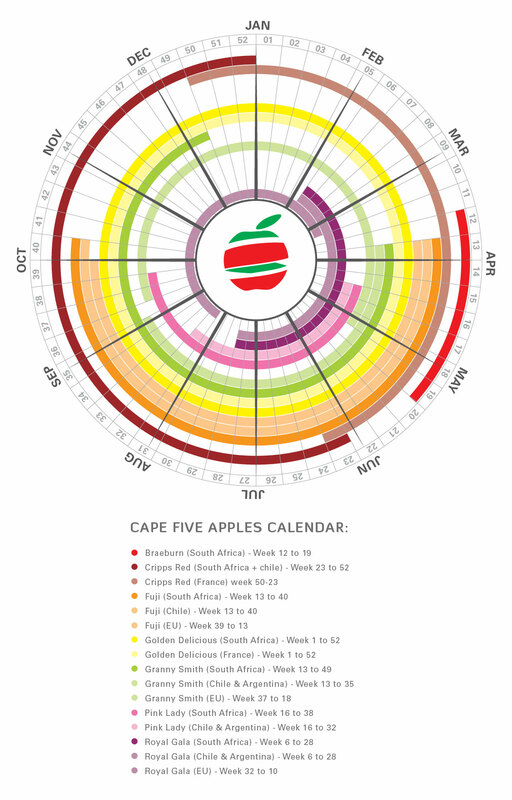 The company head office is ideally located, based close to all main fruit growing regions in South Africa. It can easily obtain the best quality local produce by maintaining its long standing relationships with local growers and producers. 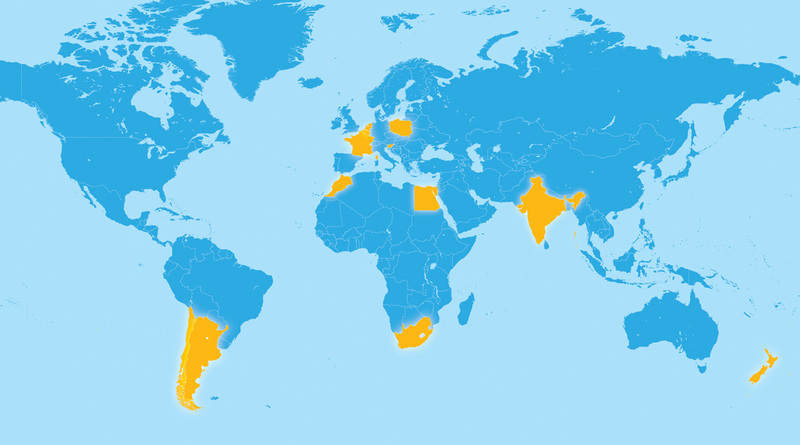 Alternative fruit varietals are sourced from fruit producing counties worldwide, for example: Chile, Argentina, New Zealand, France, Slovenia, Poland, Belgium, Holland Egypt, Morocco and India. The Dutch team maintains a strong relationship with both fruit importers and exporters, assisting them with their daily operations. The Netherlands based office utilises the company’s integrated worldwide network to maintain their strong foothold in Europe. Sourcing quality fruit products for its growing international customer base, importers, retailers and wholesalers worldwide trust the company to deliver on time. Having local representatives in Asia (Hong Kong and PRC), Cape Five understands import markets, trends and needs in the area. By identifying opportunities on ground level, the team aims at strengthening the interest in fresh fruit imports to Asia. 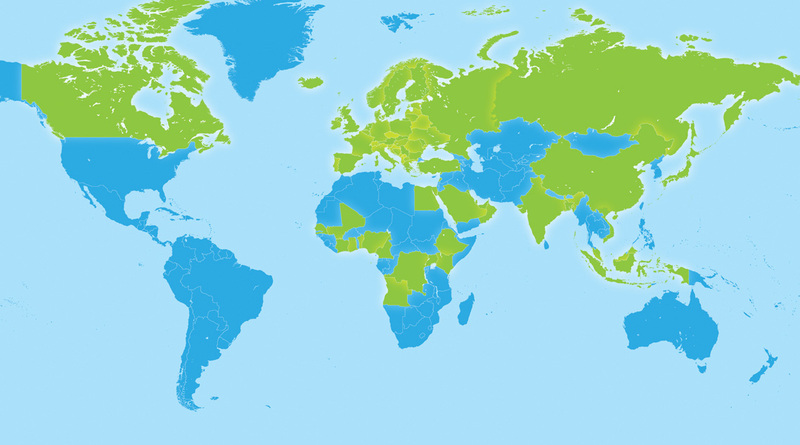 UK, Europe (including Eastern Europe), Russia, Ukraine, Turkey, UAE, Kuwait, Qatar, Lebanon, Oman, Saudi Arabia, Egypt, Kenya, Ethiopia, Uganda, Angola, DRC, Cameroon, Ghana, Nigeria, Mali, Senegal, Ivory Coast, Benin, India, Bangladesh, Malaysia, Singapore, Indonesia, Vietnam, China, Japan, Canada, Iceland. 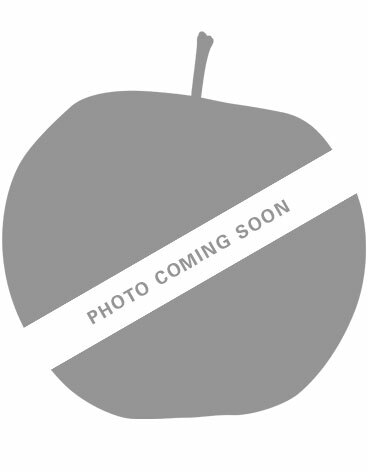 Red Fuji apples are large, with a green-yellow background and intense red stripes. 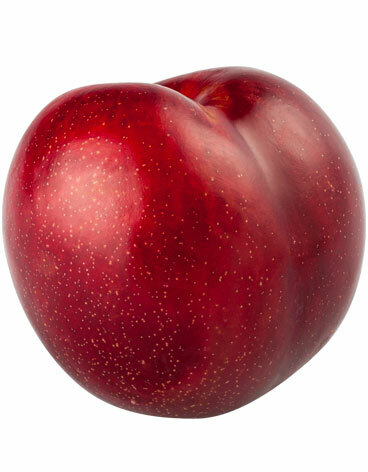 Red Fuji’s have a characteristic crispness and a strong apple aroma, with juicy yellowish flesh. Fuji’s retain the intense crispness and aroma of Red Fuji, but are characterised by a less intense colour. One of the most popular apple varieties worldwide, Golden Delicious apples are sweet with white flesh and pale green skin, ripening to yellow. 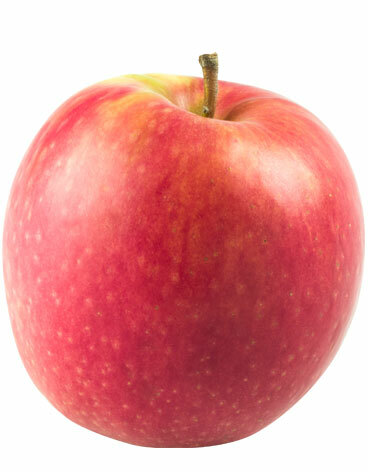 Pink Lady is a premium-quality bicolour apple. The name applies to Cripps Pink apples with a high percentage of the striking bright pink to red blush on the surface of the fruit. The skin background colour is greenish and the flesh is crisp with a tart-sweet taste. Top Red can perhaps be described as the classic red apple. The variety has sweet, creamy white flesh with a deep red coloured skin and a crunchy texture. 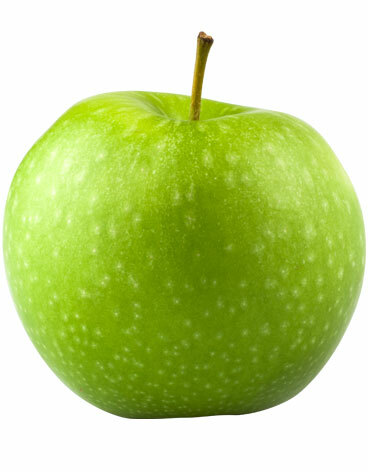 Granny Smith apples are vivid green with firm white flesh and a fresh, tart taste. 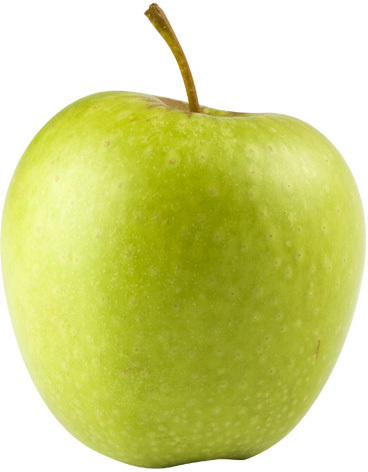 One of the finest cooking apples, Granny Smith is also delicious when eaten fresh. Fragrant, sweet and crispy with a red-striped blush and creamy white flesh, Royal Gala is a perennial favourite among consumers. Royal Beaut is a natural mutant of Royal Gala chiefly characterised by a more intense and solid colour skin. 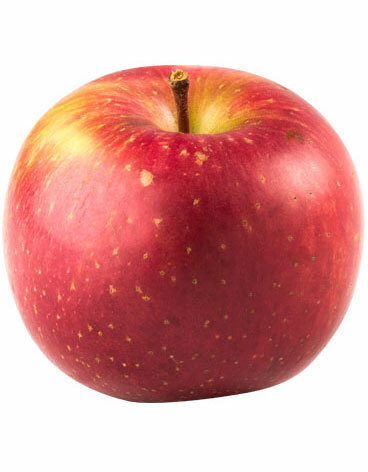 Gala apples retain the flavour and sweetness of Royal Galas, but are characterised by a lower colour percentage. 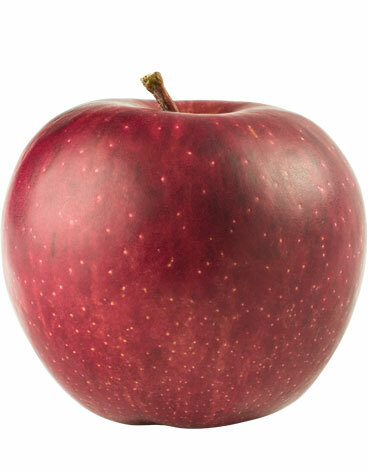 Cripps Red is a bicolour apple with a striking red hue. A relative of the better-known Pink Lady, Cripps Red has a more pronounced tart-sweet taste than Pink Lady. 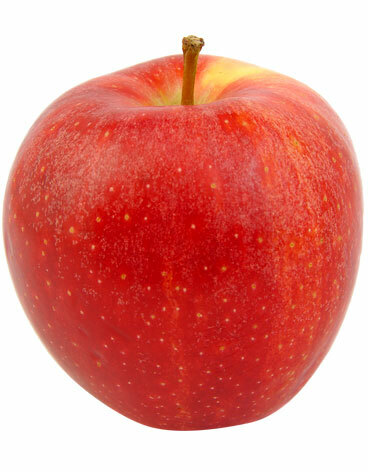 Cripps Red apples are crispy with a pronounced flavour and white flesh. 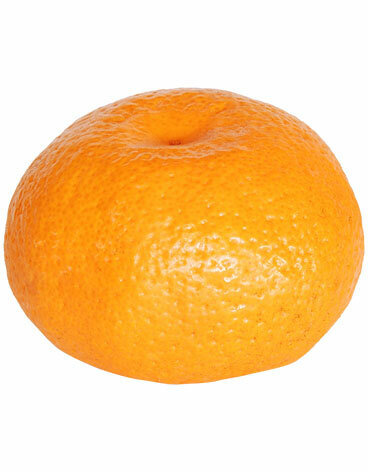 Cara Cara oranges are a natural mutant of Navel oranges chiefly characterised by their unique pink flesh and bright, berry-like flavour. Fruit have a high juice content and a mildly acidic sweet taste and are available between May and June. Eureka lemons are Cape Five’s staple lemon. 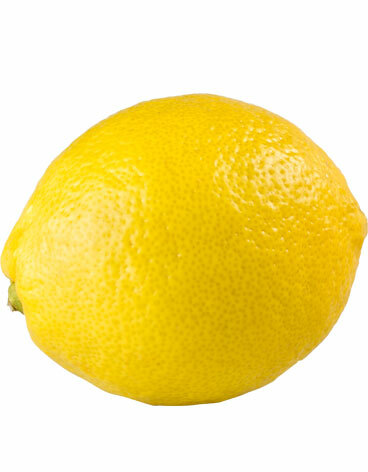 Eureka lemons are smooth-skinned fruit with a high acid level and juice content, making them suitable for any purpose. Fruit are available between xxxx and xxxx. 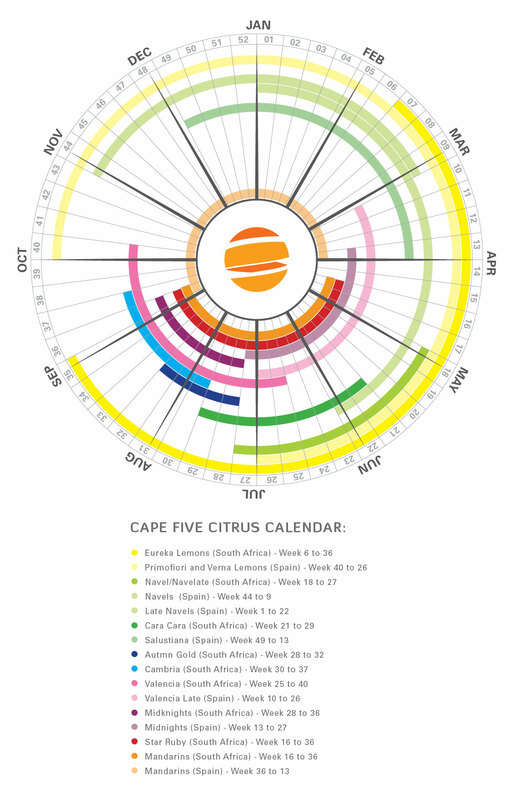 Cape Five offers several grapefruit varieties, of which the Star Ruby is the premier variety. Star Ruby grapefruit are characterised by an intensely red-fleshed fruit with exceptional eating quality. Star Ruby grapefruit are often seedless and are very sweet with a high juice content. Mandarins are small, easy-peeling citrus fruits with a thin, dark orange rind. 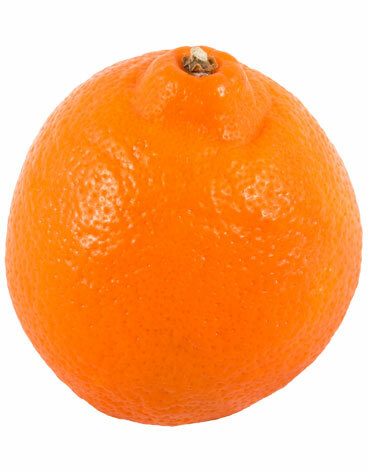 Mandarins are popular snacks worldwide due to their fresh, sweet taste and ease of consumption. A seedless late-season Mandarin, Nadorcotts are increasingly popular soft citrus varieties due to their appealing sweet-and-sour tart flavour. Fruit have an attractive deep red-orange smooth rind that peels easily. 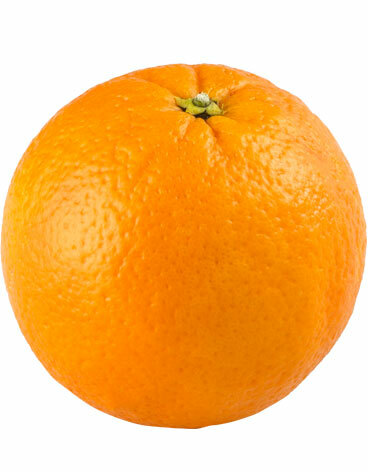 Tambor, a natural hybrid between orange and mandarin is characterised by medium-sized fruit with easy-peeling skin and a rich, distinctive flavour. 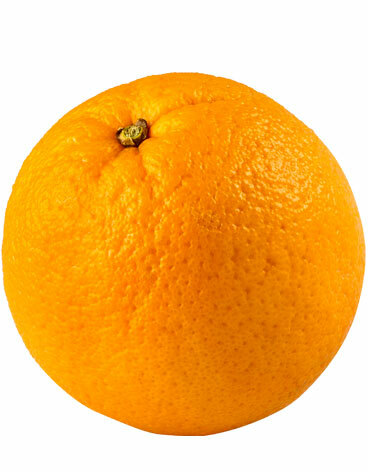 Tambors have orange-colored flesh and a high juice content. 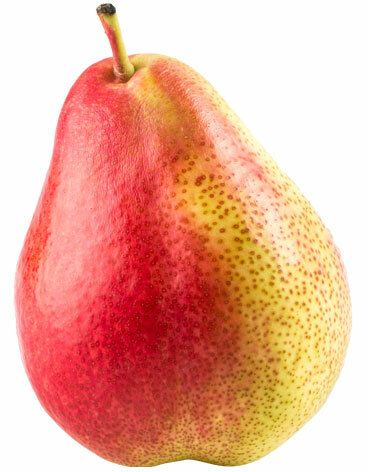 One of the world’s most popular pears due to its exceptional eating quality, Packham’s Triumph pears are large, green-yellow fruit with a knobbly shape. Packham’s Triumph has creamy white flesh and a pronounced pear flavour. 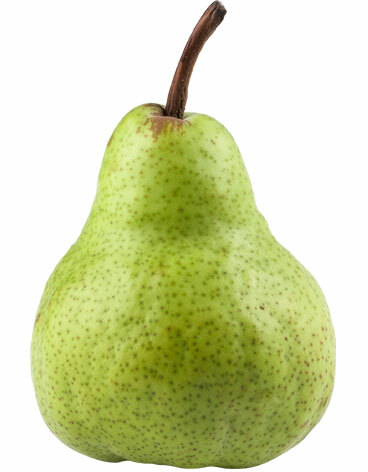 Forelle pears are attractive oblong pears characterised by a red blush on a green-yellow background. Forelles are crispy and sweet with a coarse texture and a delicate flavour. 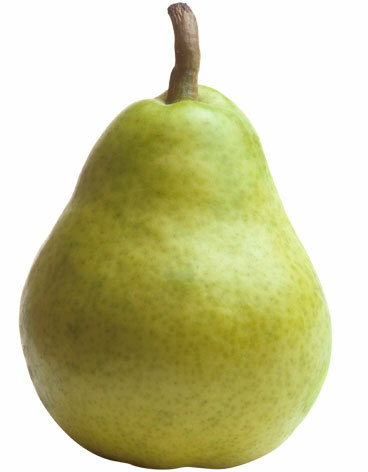 Vermont Beauty is an oblong pear that has green-yellow skin. Like Forelle pears, Vermonts are crispy and sweet with a coarse texture and a very delicate, almost floral flavour. 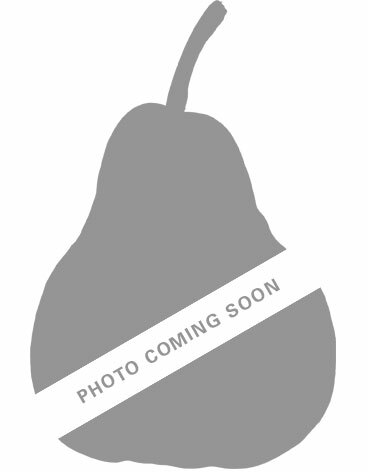 Williams Bon Chrétien pears are bell-shaped medium-sized green pears that turn yellow as they ripen. 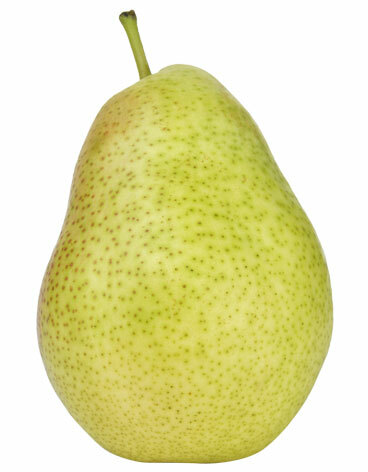 Williams pears have cream-coloured flesh and are very juicy with a distinctive pear flavour. An attractive red-blushed variety with a smooth skin, Rosemarie is a summer variety that has pale firm, sweet flesh with a delicate flavour. 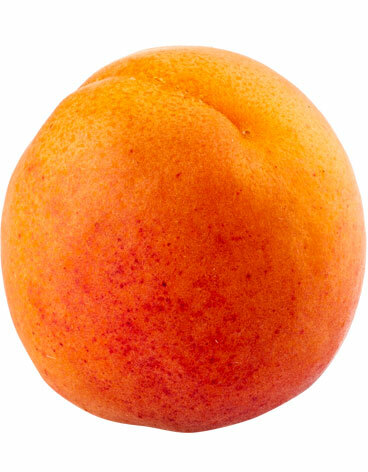 Imperial apricots are one of the larger-sized South African commercial varieties. 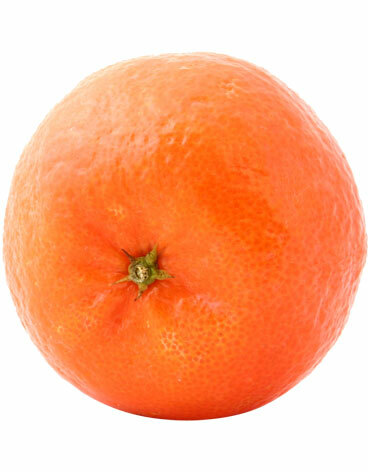 Fruits have a red blush and orange flesh with superior eating quality. Imperial apricots have good storage ability and are available from mid-November. 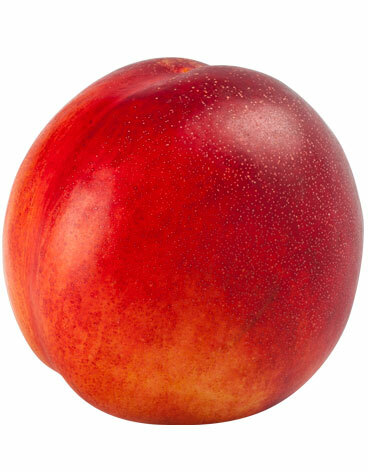 Alpine is an attractive yellow-fleshed nectarine variety with exceptional eating quality. The fruit are predominantly red-skinned and are harvested from mid-November. 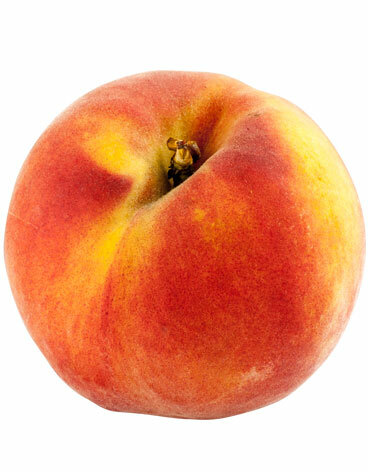 Temptation is an early yellow-fleshed dessert peach variety, characterised by fantastic eating quality and good storage ability. Temptation is harvested during mid-November and mature fruit are particularly attractive for a dessert peach, with around 85% blush. 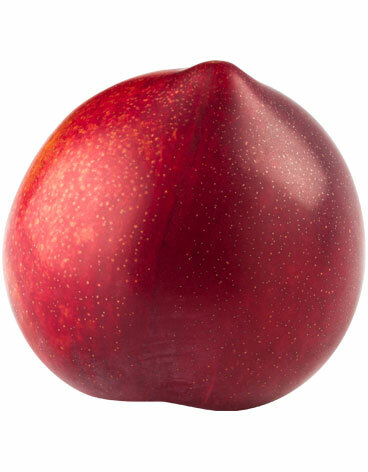 A bright red plum with yellow flesh, African Delight fruit are large and oblong in shape and are available during Week 9-13. African Delight is characterised by a strong flavour and very high sugars, as well as a good sugar-acid balance. 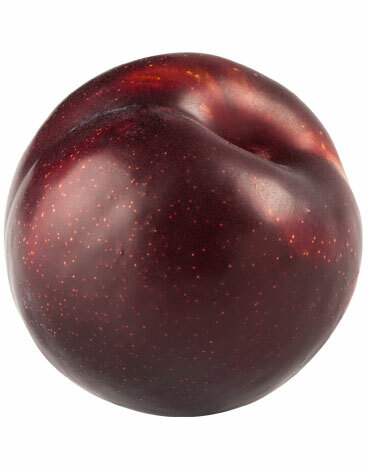 African Delight plums have an excellent storage ability of up to five weeks. 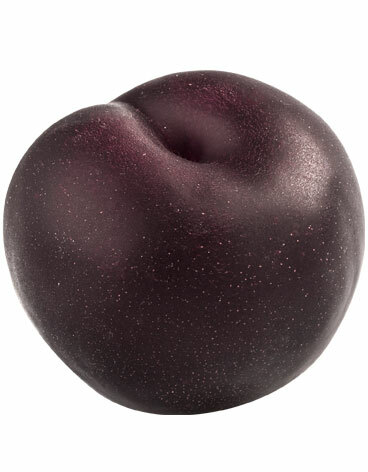 Perhaps the quintessential black-skinned plum, Angelenos are medium sized round fruit with firm, bright yellow flesh and good sugar content. Fruit is harvested during Week 8-11 and the variety has a very long storage life of up to seven weeks. African Rose is the earliest South African commercial cultivar. 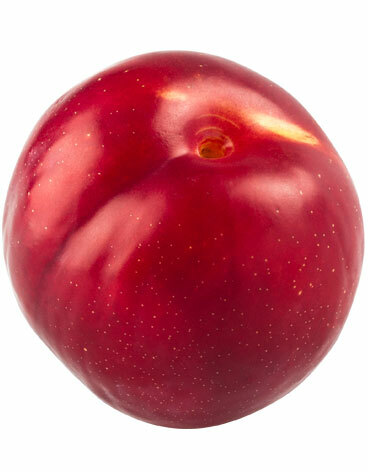 Fruit are red-skinned and yellow-fleshed with a light, pleasant plum flavour. African Rose is harvested from Week 46-48 and has a storage life of up to four weeks. 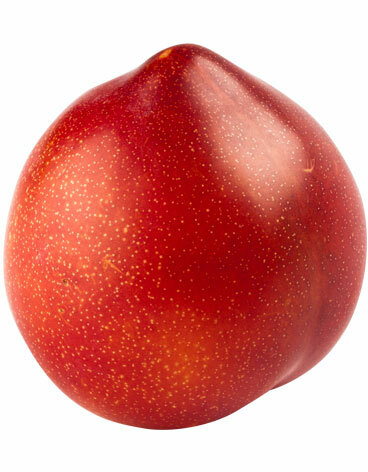 Flavor King is a Californian plum-apricot hybrid with a striking taste and superior eating quality. 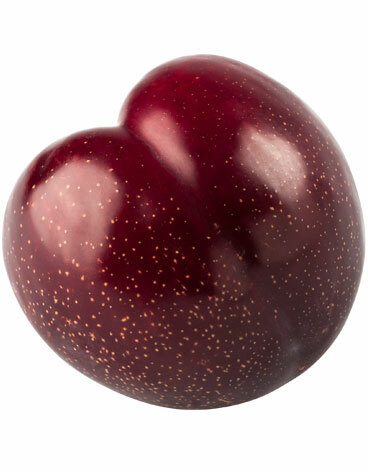 Fruit are heart-shaped and red-skinned with firm reddish flesh. Flavor King is harvested during mid-January and has a storage life of up to four weeks. A bright red, yellow-fleshed Californian variety, Fortune is highly aromatic with good sugars and fine-textured, juicy flesh. Fruit is large and oblong in shape. Fortune is available between Week 1 and 5 and has good storage ability of four weeks. 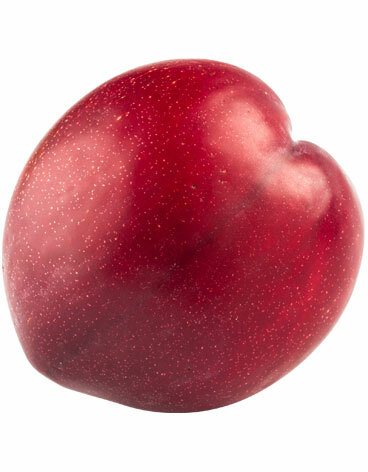 Honeymoon is the earliest yellow plum variety and is available between Week 47 and 48. 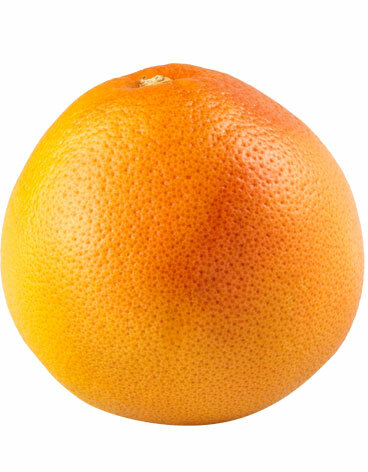 The fruit has good eating quality and a melting texture. Laetitia is the classic South African variety, characterised by its bright red skin and dark yellow flesh. Laetitia typically has a firm texture and high sugars. Fruit is available between Week 2 – 7 and has a long storage life of up to five weeks. An attractive purple-skinned variety with light yellow skin, Purple Majesty has good eating quality and a melting texture. Fruit is available between Week 47-49. Purple Majesty has a storage life of four weeks. 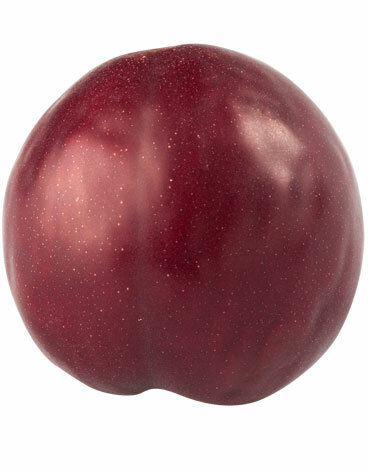 A premium mid-season South African variety, Sapphire plums are medium-sized and round with red speckled skin and yellow flesh. Sapphires have high sugars and a pronounced fruity taste. Fruit is available between Week 48-51 and storage life is four weeks. An attractive yellow plum of exceptional eating quality, Sun Kiss is a notable mid-season yellow variety. Fruit have high sugars at harvest and a medium texture. Sun Kiss has a four week storage life and fruit is available during Week 52-3. Ruby Star is perhaps one of the best South African varieties to come out of the Culdevco breeding programme. This dark-red fruit is large and oblong with vivid yellow flesh. Ruby Star has exceptional eating quality, very high sugars and a pronounced flavour. Fruit is available between Week 6-8. Ruby Sun has a very long storage life of up to six weeks. 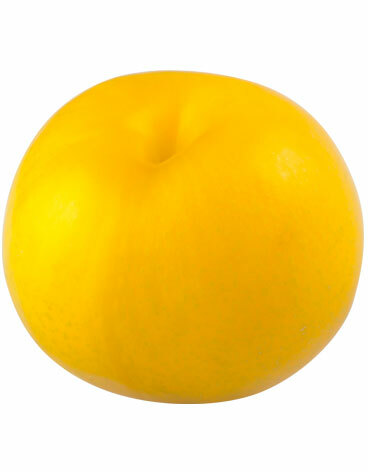 Songold is a very juicy later yellow variety with good sugar and eating quality. Fruit is conical in shape with golden yellow skin when ripe. Songold is available from Week 5 and has a four week storage ability. 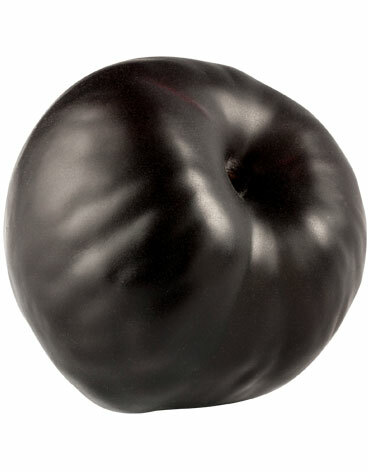 Southern Belle, originally developed in California, is a striking black-skinned plum with melting yellow flesh. Fruit is large and sweet and available between Week 8-11. 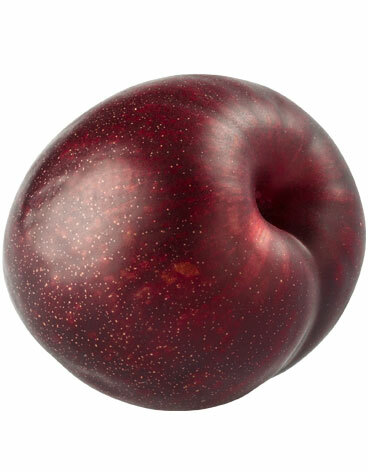 Southern Belle plums have a long storage life of up to five weeks.